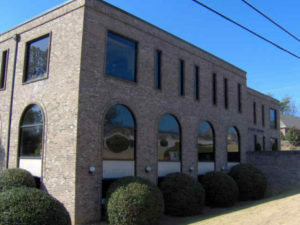 This Virtual Office Birmingham Alabama is located only fifteen minutes away from down town Birmingham and about twenty five minutes from the international airport. The office is professionally set-up with high speed cabled and wireless internet, as well as business class phone systems. Our well trained staff is at your disposal and can assist your company with administrative task. Ease of accessibility and ample parking on side make this office a friendly environment for clients to visit you. Affordable pricing for executive office suites by the day or hour, even monthly occupation is possible. Inquiry is always easy, just send us an email or call at 1.866.793.7969, we will be happy to assist you with all your virtual office needs. If you want to tour the facility we will gladly set up a meeting at the office with one of our managers. We offer virtual assistant services as well as telephone answering services at all our locations, choose from the different plans available or pick an automated receptionist service. We can have your company up and running at this location within the same business day, but no later than 24 hours.